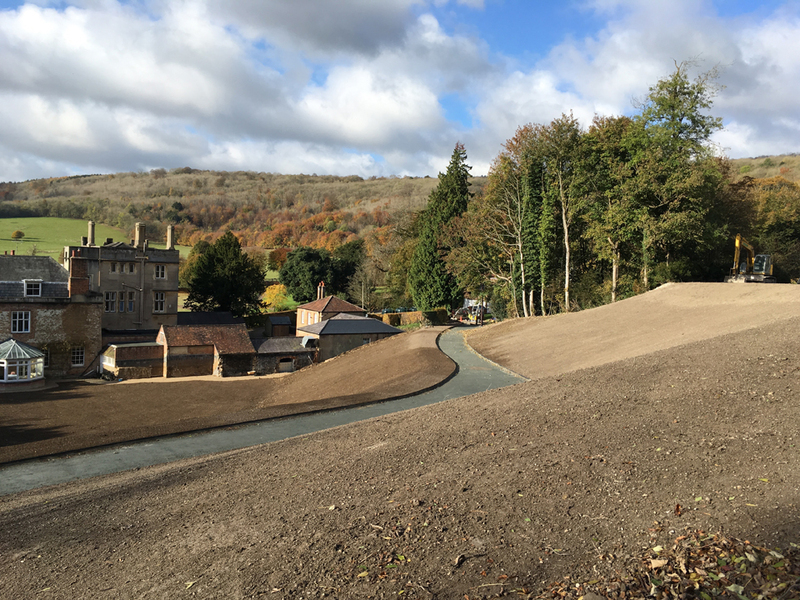 Work at Titsey Place is rapidly progressing; landscape contractors have been making the most of this fair weather and are busy completing earthworks and seeding before the winter takes hold. Although not yet complete, Colvin and Moggridge’s design has transformed the rear elevation of this Grade 2 listed country house by revealing it to view for the first time since it’s construction in the 18th Century. A key feature of our bold masterplan is the realignment of the drive; easing it away from the house has allowed us to cut back into the hillside that ran down to the property, excavating hundreds of tons of earth has enabled the creation of a generous lawn terrace accessed directly from the ground floor of the house. 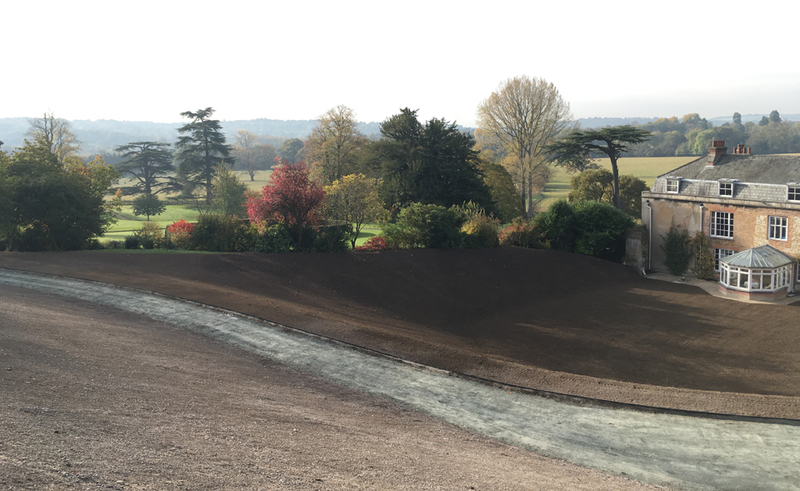 Simple sinuous embankments create changes of level between the new lower lawn, the drive and the upper lawn; proposed steps will wind through the existing woodland introducing an atmospheric transition between the terraces. 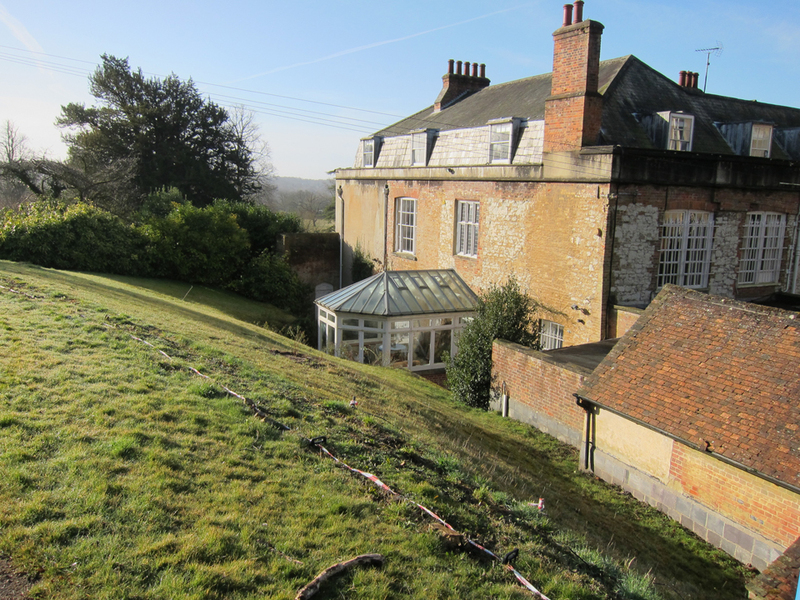 Strategic removal of trees has revealed expansive views from the upper lawn across the Titsey Estate and back towards the house. 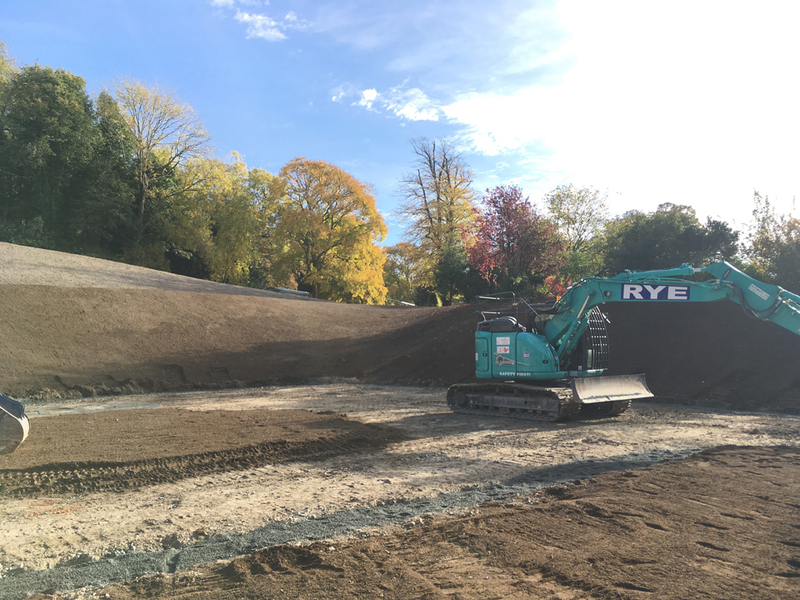 Work will continue with the planting of native tree belts, meadow seed to the embankments and the construction of the steps. Already the transformation is striking, the house now sits comfortably within its landscape setting and no longer appears crowded by the hillside, the lower lawn not only creates space for the family to use but also provides the breathing space that a house of this stature deserves.